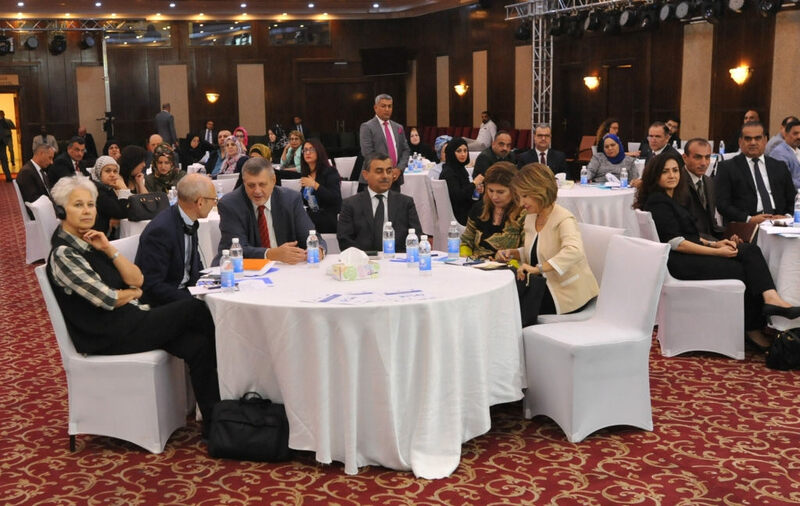 A high-level consultation meeting “Developing of second National Action Plan for implementation in Iraq of UNSCR 1325” was held on the 3rd of October 2018 in Baghdad, Iraq organized by the Iraq Cross Sector Task Force 1325. This consultation meeting was supported by Euromed Feminist Initiative with the financial support of the embassy of the Netherlands to Iraq. Click here to view the photo album of United Nations Assistance Mission for Iraq (UNAMI). The meeting aimed at launching a dialogue and inclusive discussion on improving women’s position in society through the developing of the 2nd NAP 1325 on UNSCR 1325, engaging different sectors of the society and provide space for local partners to give input and share their reflections on the realities women in the host local communities face every day as well as contributing to the promotion and engagement of women in Iraq as major actors for change through 2nd NAP 1325. 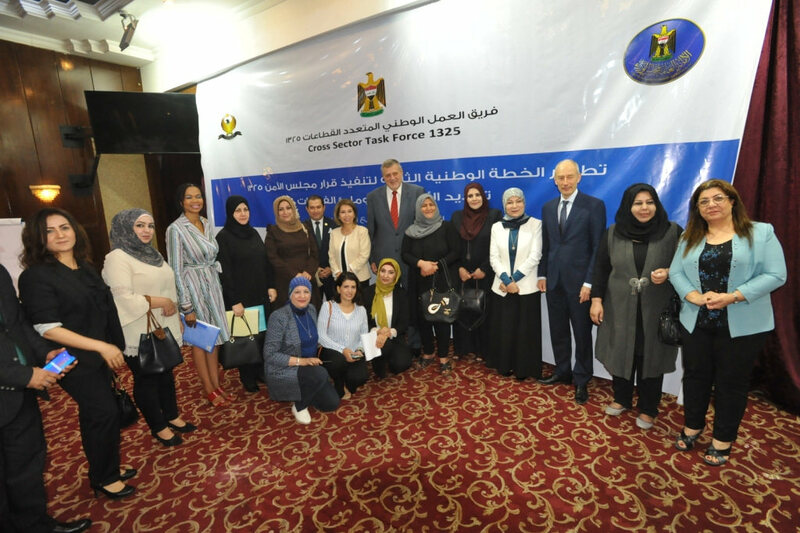 The meeting gathered women's organisations, women refugees and IDPs, as well as a broad variety of actors and stakeholders from the most affected governorates: leaders of camps, local self-governments, service providers from 11 governorates. Together they identified needs, gaps and priorities as well as suitable measures, actions, policies and budget to efficiently address these gaps. The meeting was opened by H.E. Dr. Mahdi Al Alaq, Secretary General of the Council of Ministers and Chair of the Cross Sector Task Force (CSTF) 1325. H.E. Mr. Ján Kubiš, Special Representative of the UN Secretary-General to Iraq, H.E. Ambassador Matthijs Wolters, Embassy of the Netherlands to Iraq and Ms. Dina Zorba, UN Women country representative for Iraq delivered their speeches during the opening session of the high-level meeting. In his speech, H.E. Matthijs Wolters, Ambassador of the Kingdom of the Netherlands to Iraq underlined the significance of the Iraqi NAP 1325 as the first NAP in the MENA region and said that “The objectives of the NAP go right to the heart of the problems these women experienced. Providing victims means for their rehabilitation and reintegration into society is a priority area for the NAP. But it needs to be translated into very practical measures to be of help to them.”. Click here to read the full speech. Ms. Dina Zorba, UN Women country representative for Iraq, praised “the partnership between the government and civil society in developing and implementing the NAP in Iraq, as a unique leading example of implementation of UNSCR 1325 and stated the need to be replicated in other countries.” Source: UN Women Facebook page. H.E. Mr. Ján Kubiš, Special Representative of the UN Secretary-General, expressed concern for gender inequality in Iraq, which continues to prevail. 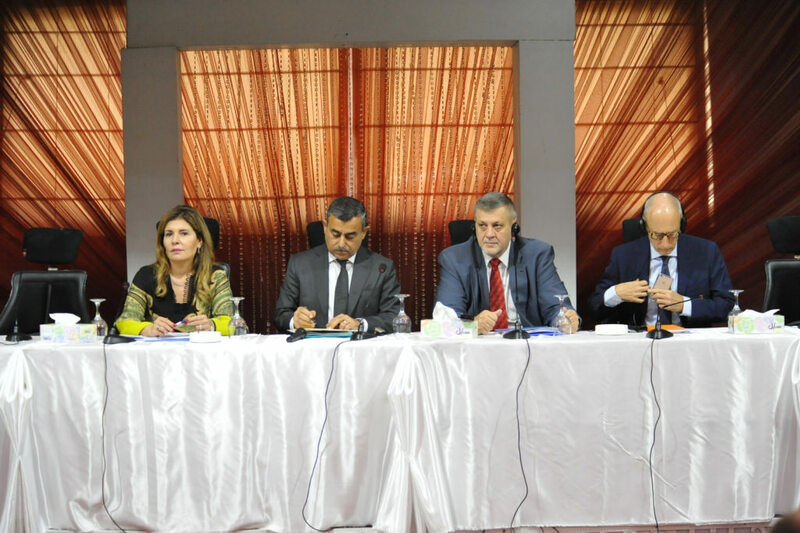 Kubis also condemned recent attacks on women and said that “only once politically and socially active women are protected and safe, Iraq can claim to be making real progress towards women’s equality and empowerment.”. Source: UNAMI website. 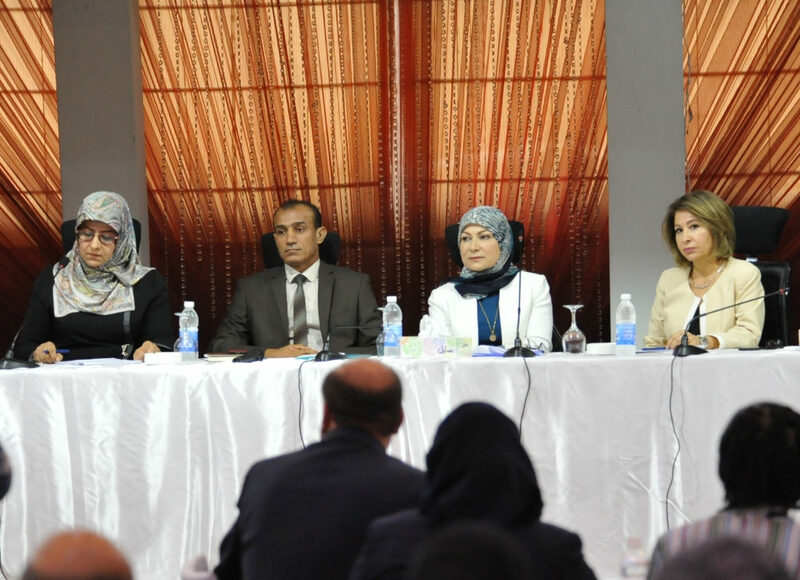 Dr. Ibtisam Aziz, General Director of Women Empowerment Department, Ms. Suzan Aref, Coordinator of CSTF and Mr. Qasem Alzamili, Head of the Secretariat of CSTF highlighted the importance of NAP 1325 as a major tool to improve the conditions of women in Iraq. They also discussed lessons learned and recommendations from the National Report on the implementation of the 1st NAP1325.Four working groups were formed around the four pillars of NAP1325: Participation, Protection, Prevention and Economic Empowerment. Several meetings of the Coordination Committee of the CSTF were held in order to discuss and plan the development of the 2nd NAP1325. The next consultation meeting will be held on 9 October 2018 in Erbil, Iraq. It will gather local key stakeholders from 5 effected governorates, representatives of gender units in local Councils, active women in the camps and local Communities, women victims of violence, service providers, camps managers, local women´s organisations, follow-up teams in the Ministries and Institutions of the Cross-Sector Task Force 1325 and UN agencies, and international organisations. The photos in this article were taken by the United Nations Assistance Mission for Iraq (UNAMI).